Ask fellow campers about "Road Runner RV Park (formerly Parkview Mobile Home & RV Park)" and nearby attractions. New ownership very friendly and helpful, are investing in improving the facilities but have a long way to go. OK for one night away from the interstate noise We camped at Road Runner RV Park (formerly Parkview Mobile Home & RV Park) in a Fifth Wheel. Office told us the property had recently sold, Bathrooms showed as being renovated. No power in the men's area, found the light switch in the bath/shower room the next morning. We were given one site, but as we were parking, the staff mentioned that the sewer didn't work at that site, so go ahead and move down to another. We moved, the one we moved to had water and dump hoses and a rug left by the previous occupants. 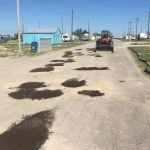 Site was full of dog droppings. Found a level spot. We won't be back. We camped at Road Runner RV Park (formerly Parkview Mobile Home & RV Park) in a Motorhome. The people who checked us in were very nice. The park is close to the highway and the price was right at $20 a night. The sites themselves were grass though and the entire place wasn't very well kept. For one night sleeping though it was just fine and again the people who ran the place seemed very nice. We camped at Road Runner RV Park (formerly Parkview Mobile Home & RV Park) in a Fifth Wheel. Out to lunch when we got there. Someone called the manager he said to go into site 49. We pulled through the holes and weeds to get to the site to be greeted by an over flowing sewer. Told the fellow no way.. moved a couple of rows over. We had to fight weeds to find the water connection. Definitely will not stay here again. We camped at Road Runner RV Park (formerly Parkview Mobile Home & RV Park) in a Motorhome. Thank you for leaving a review. I apologize for the difficulties you encountered when staying with us. I have made a change in maintenance personnel and we are getting these issues addressed. Have safe travels, and I hope we can better serve you in the future. Basic place to stay overnight. Little to no shade. No TV but the WiFi works fine. There was no one in the office when we arrived a bit past 2pm, so I picked an empty spot, and called the office later. It appears that many of the sites are occupied by long term renters, but after all, this is a combo mobile home and RV park. All in all, a bit on the pricey side for what is offered. We camped at Road Runner RV Park (formerly Parkview Mobile Home & RV Park) in a Travel Trailer. Park was clean, as were restrooms/showers! Very little traffic noise. Pot holes in drive were filled in. Exceptional RV park for the price!! Wi-fi not the best but works. No TV stations as mentioned by others but enjoyed our over night stay. We camped at Road Runner RV Park (formerly Parkview Mobile Home & RV Park) in a Motorhome. Thank you for taking the time to leave us a positive review! The WiFi is something we’re working on improving. We installed a pricy booster system throughout the park but I think with so many people using it the system gets bogged down. On your next trip through we’ll have that fixed so you can enjoy high speed internet. Have safe travels! Appreciated friendly help when reservation made and showed me to site. Hookups good but close to next rig. Site needed raking to remove campfire ... burnt rocks left ground charred black. Neighbor parked truck in between rigs within 2 feet of trailer side. I recommend a pet area since it was not safe to walk on road. It was also dark so lights needed. Thank you. We camped at Road Runner RV Park (formerly Parkview Mobile Home & RV Park) in a Travel Trailer. Those darn charred rocks drastically dropped our rating with ya, I’ll be sure to have the guys rake out the dirt! Sorry you didn’t make it by at a later date though, you would’ve gotten to see the dog park we’re building. I’m sure next time you come through town we’ll have completed our solar lights on each RV lot, and you’ll receive great customer service again. Have safe travels! See ya next time. We stopped here because we just needed a place to be for the night, out here off I10 in West Texas as evening closed in. Management was friendly and guided us to our sites, but the park leaves something to be desired. We had full hookups and that all worked, WiFi was more imaginary than anything else, there is really nothing available on TV in the area (no fault of the park). Cell phone reception was good, pets are welcome. But the place is disheveled and crowded. It seems a mainly long term workers' camp, with a few stray travelers stopping in. We camped at Road Runner RV Park (formerly Parkview Mobile Home & RV Park) in a Motorhome. Thank you for taking the time to leave a review. Sorry that you caught us in our overhaul phase! Sure has been a lot of work for us to turn this park around since we purchased it a couple months ago. Overall the park is doing wonderful and continuing to beautify/improve everything. I'm sure when you come back on your next trip through, you'll see quite a difference and maybe toss some more stars for a job well done. We shoot for 5star service, unfortunately, didn't achieve that this time. Have safe travels and we'll see you next time! The $15 rate was with our PA. For a one night stay it is barely OK, as it is a quiet park located a couple of miles off the interstate, but not worth any longer. Not much of a park, but it is under new management. Lots of permanent RVers with older trailers and fifth wheels. Friendly at check-in with promises of improvement over time. However it will take quite a bit to make this a nice park to stay for more than one night. Full hookups with free Wi-fi. We camped at Road Runner RV Park (formerly Parkview Mobile Home & RV Park) in a Motorhome. There's not much to see and do in Ft Stockton. We have our work cut out for us, don't we? It's going great so far! Residents are staying so long I had to develop 40 more RV sites. Once the cafe opens up that'll throw some extra perks in there. Have safe travels and we'll see you next time! For us, this campground was perfect for overnight stay. Pull-thru sites were large and gravel with no trees. We are retired and travel around country year round. 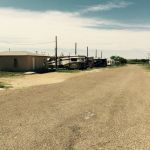 Many times, we just need a safe pull-thru site for the night with full hookups, satellite access for direct tv, and close to the interstate or highway. This campground met all these requirements and was close to I10. We camped at Road Runner RV Park (formerly Parkview Mobile Home & RV Park) in a Motorhome. Thank you for leaving us a review! Have safe travels and we'd love to see you again! New owners have just begun a rebuild of the park. They have their work cut out for them! There are many full time units. The long term units are run down and should be addressed. The park is a bit hard to find and the tips on their website get you close enough to see it. We stayed her for a night and it was fine. We camped at Road Runner RV Park (formerly Parkview Mobile Home & RV Park) in a Fifth Wheel. We sure do have our work cut out, and we're cranking away every day! Have safe travels and come check out our progress on your next trip. OK for overnight. Packed gravel roads and sites. Large potholes in entrance roads. Mostly locals and oil workers. All sites gravel and patches of weeds and no trees. Park old, overgrown and trashy. No rec room, pool or playground. On site laundry. The pull thru sites are long and wide with FHU. 1 mile off I-10 but close to local highway with truck noise. Good Verizon cell signal and 4G mobile hot spot, good satellite signal. Office staff friendly and helpful. OK for overnight during the week as all the oil workers go to bed early during the week. We camped at Road Runner RV Park (formerly Parkview Mobile Home & RV Park) in a Fifth Wheel. Thank you for leaving us a review! I'm sorry you didn't enjoy our potholes, we don't either! They are currently being filled so this wont be an issue on your next visit. We've worked hard on cleaning the property up since acquisition in August and overall things are going very well. Unfortunately I can't make the park any younger, but after all our improvements are finalized you wont be able to tell the difference. In due time you will see a rec room (with NFL Sunday ticket) and a playground, one for children and one for dogs! I also promise that our office staff will continue to be friendly and helpful, and they look forward to seeing you on your next visit to Road Runner RV Park. Have safe travels! What can I say? No trouble with utilities. Spaces not too close. Restrooms/showers fairly clean. Laundry room filthy. There is no way to avoid the HUGE pot holes in all the roads. In plain English: the place is a dump. Also overpriced @ $350/mo. Would not stay here again. We camped at Road Runner RV Park (formerly Parkview Mobile Home & RV Park) in a Motorhome. Thank you for taking the time to leave us a review. I’m glad the utilities were to your satisfaction and that you enjoyed our spacious sites. Our bathhouse is going to be completely renovated soon, along with the laundry room. We’re getting rid of those old machines and bringing in brand new ones. As for the potholes, I completely understand your frustration. We’re working on getting all of those filled in immediately. This park has been a great project we started on in August, and I guarantee on your next trip to Fort Stockton many of your concerns will have been addressed. I would love for you to stop by again and see all the progress that is being made. Have safe travels! The owner just purchased this park in August and is trying hard to get it fixed up so as to be a very nice park. We enjoyed visiting with him and he told us all the plans he has to make it better. He took us to our site and made sure the electric was good before he left us for the evening. It is a no frills park but I expect that when we visit again it will look much different than it does now. This park doesn't look like much now but they are working hard to make it better since they just purchased it in August. They got rid of the woman that was so rude. Flat level pull through sites. We would stay here again. We camped at Road Runner RV Park (formerly Parkview Mobile Home & RV Park) in a Motorhome. Thank you for taking the time to leave us a positive review, we're working very hard! I enjoyed chatting with you and appreciate the insight you gave me to continue making the park better. I hope you have safe travels and look forward to seeing you again! This park is undergoing some serious renovations. Apparently, the former owners really let it go badly. The new management was friendly on the phone and very helpful when we checked in. The park itself is very rough. Roads potholed and sites recently graded dirt/gravel. They are just in the process of installing 50 amp service and we stayed at a site that had been upgraded. Our site was level and long enough that we didn't have to unhook. Due to the recent grading, there was a lot of dust blowing around. I saw a lot of unfavorable reviews, especially about the rude woman on the phone. We did not have any problems in that area at all. There were a lot of fairly new trailers camped there and a notice on the door that all leases for permanent/seasonal residents had been cancelled and should be renewed so I assume they are trying to weed out the dilapidated trailers and/or troublesome residents. If they continue to upgrade, this could be a nice, reasonably priced park and we would stay there again. We camped at Road Runner RV Park (formerly Parkview Mobile Home & RV Park) in a Fifth Wheel. Thank you for staying with us and for your review. We have much to do, but would love for you to stop by again and see all the improvements we've made. Have safe travels! Drive slow in the park. K Bob's Steakhouse for Chicken Fried Steak and Chicken Fried Chicken. Get the combo meal for two and at $20 it's a steal. Best onion rings ever! Went into Fort Stockton only to do a little shopping. Did go to town's namesake, Fort Stockton, but really nothing there. Walmart down the road 3.5 miles and plenty of fuel. Ok place for overnighters. We had full pull-through with full hook-up with no difficulty at a good price. Gas and shopping close quite a few restaurants. Very easy to get to via I-10 westbound. There is a Flying J and WalMart nearby and easy to get to. 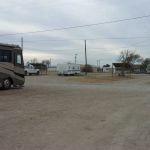 Are you affiliated with Road Runner RV Park (formerly Parkview Mobile Home & RV Park) ?